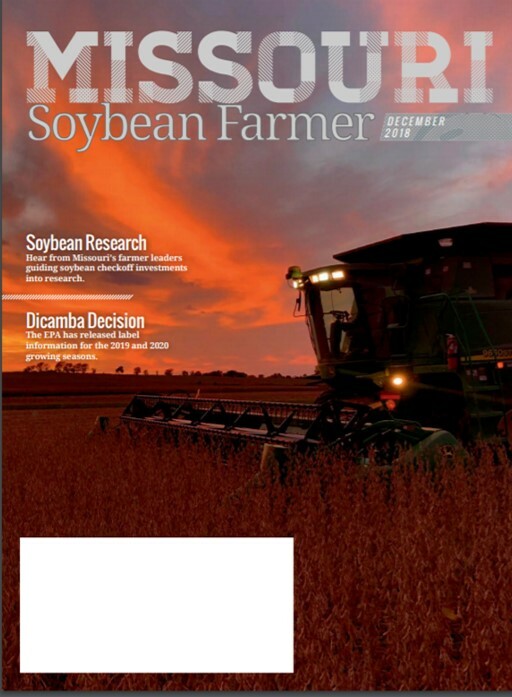 In the December 2018 issue of Missouri Soybean Farmer magazine, explore soybean trade relationships across the Americas and hear from the farmer leaders guiding research investments through the soy checkoff and Missouri Soybean Merchandising Council. This issue also includes post-election policy updates and information on EPA registration for dicamba formulations for 2019 and 2020, and a cover photo from one of our farmer members, Nathan White. Read the full issue online by clicking here.